Delta Prince, coming off a near miss in Saratoga's Grade 1 Fourstardave, will be looking for his first Grade 1 score in Saturday's $800,000 Ricoh Woodbine Mile. Under the terms of the Breeders' Cup “Win and You're In” Challenge Series, the Woodbine Mile winner will be entitled to a fees-paid berth in this year's Breeders' Cup Mile, which will be run at Churchill Downs on Nov. 3. World Approval pulled off the Woodbine Mile-Breeders' Cup double last year, joining Wise Dan (2012, 2013) as the only horses to accomplish that feat. Delta Prince, a 5-year-old horse trained by James Jerkens, had been away from the races for almost 10 months when he shipped to Woodbine for the Grade 2 King Edward on June 30 and was a smart winner over the Woodbine Mile course and distance. Javier Castellano has been aboard for the Stronach Stable homebred's two starts this year and retains the mount aboard Delta Prince, who will begin from post 3 as the 5-2 favorite on oddsmaker Ernie Perri's morning line. Oscar Performance is a three-time Grade 1 winner with those successes coming on grass over one mile in the 2016 Breeders' Cup Juvenile Turf and 1 1/4 miles in the Belmont Derby and Secretariat Stakes for owners John and Jerry Amerman and trainer Brian Lynch. The 4-year-old returned from a layoff of more than seven months to capture Belmont's Grade 3 Poker at one mile on the turf June 17. But in his next start Oscar Performance was pulled up by his regular rider Jose Ortiz Jr., who felt that the colt had taken a bad step and was vanned off as the favorite in the Aug. 11 Arlington Million. European invader Lord Glitters will be making first start on this side of the pond for trainer David O'Meara, who captured the 2015 Woodbine Mile with Mondialiste. Lord Glitters, owned by Geoff and Sandra Turnbull, comes with solid credentials including a close second in Ascot's Group 1 Queen Anne and a third in Goodwood's Group 1 Sussex with both races run over one mile on the grass. The 5-year-old gelding put the finishing touches on his Woodbine Mile preparations with a sharp score in York's Group 3 Strensall, a 1 1/16-mile turf race, which Mondialiste won prior to his successful foray. Jamie Spencer, who took the 2014 Woodbine Mile aboard Trade Storm, gets the call on Lord Glitters, the 4-1 third favorite who will begin from post 6. 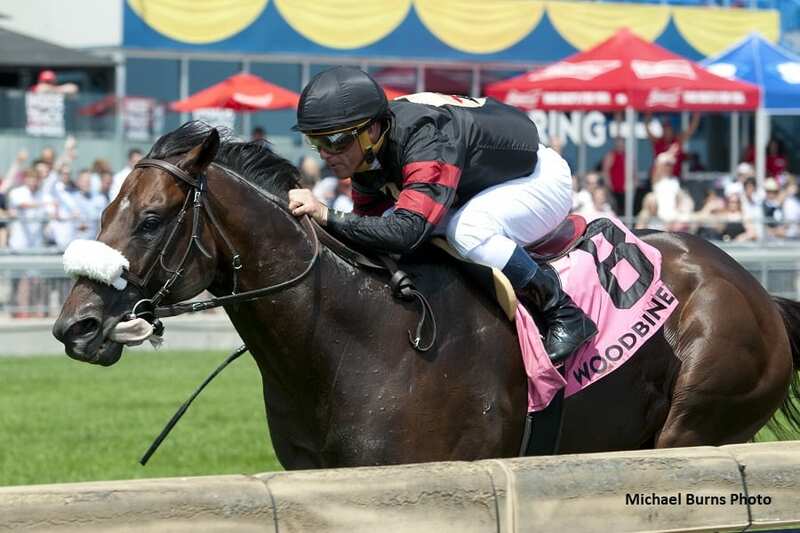 Mr Havercamp will be looking to become the first locally-based, Ontario-bred, and Ontario-sired horse to win the Woodbine Mile since Rahy's Attorney in 2008. His sire, Court Vision, won the Woodbine Mile in 2010 and the Breeders' Cup Mile the following year. A homebred 4-year-old gelding who races for owner/breeders Sean and Dorothy Fitzhenry, Mr Havercamp had won three restricted stakes before becoming a graded stakes winner here last time in the Play the King for trainer Catherine Day Phillips. Owned by Tom Keithley's Gunpowder Farms, Divisidero is the only other Grade 1 winner in the field with successes in back-to-back runnings of the Turf Classic at Churchill Downs beginning in 2016. Kelly Rubley took over as Divisidero's trainer this year and Jevian Toledo as his rider. The 5-year-old gelding has been in career form this year with in-the-money finishes in his five starts including wins in a Group 3 in France and a Group 2 in Germany. Good Samaritan (10-1), a winner over the Woodbine Mile course and distance as a 2-year-old in the Grade 2 Summer, went on to finish third in the Grade 1 Breeders' Cup Juvenile Turf at Santa Anita. The move has proven productive, as the 4-year-old colt made his main-track debut a winning one in last year's Grade 2 Jim Dandy, just missed in the Grade 1 Clark, and then captured the Grade 2 New Orleans Handicap at the Fair Grounds to start this year. The 4-year-old was a Group 2 winner in France last year and had recorded three victories in a row, including Belmont's Grade 3 Intercontinental over seven furlongs of turf, before faltering to finish fifth as the second choice in the Play the King over yielding turf. In addition, the Sunday, Sept. 16 card at Woodbine includes two “Breeders' Cup Win and You're In” races for 2-year-olds highlighted by the Grade 1, $250,000 Natalma Stakes for fillies and the Grade 1 $250,000 Summer Stakes, both to be contested at one mile on the turf. The $100,000 Vice Regent Stakes will also be featured on Sunday. This entry was posted in Breeders' Cup, NL Article and tagged Breeders' Cup Challenge Series, Breeders' Cup Win and You're In, delta prince, Frank Stronach, james jerkens, lord glitters, oscar performance, ricoh woodbine mile, Woodbine Mile by Press Release. Bookmark the permalink.